Here is my November online income report. November was anther busy month for my blog and business! I've been in a great mental space lately for my blog and business. I had some slumps at the beginning of the year, and as we approach the end of 2017, I've definitely hit my stride with work and a healthy life balance. I've been really energized with my blog and online business. Things are going great! If you are new to reading blog income reports, here's a quick refresher! My most popular income report is still my very first one! 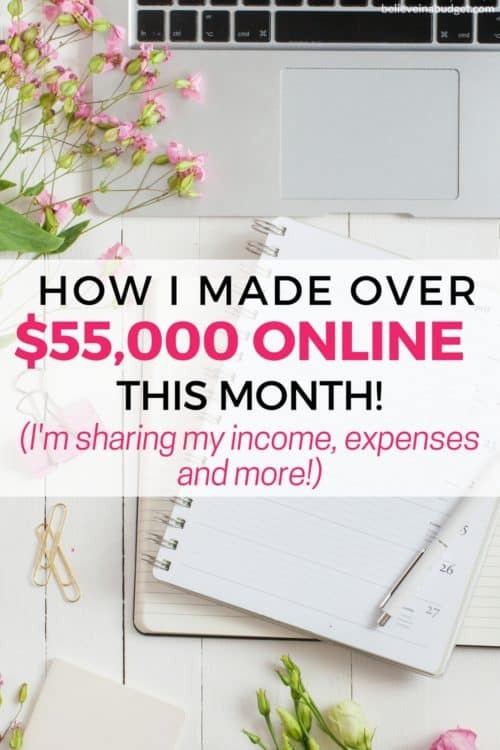 In April 2015, I published my first income report proudly stating how I made $60. My first income report is still incredibly relevant! If you are a new blogger, you should definitely read my first income report to help you make money online! I have now been publishing income reports for two and a half years. Time is flying by! Since I started blogging and reporting my income reports, my income has overall steadily grown from the previous year. I'm at an exiting point with my income reports because I can look back at 2015 and 2016 and compare how much my income and expenses have changed. I also love the shift my blog and business has made. For example, most of my income in the early days came from freelancing.I have always used ads and done sponsored post when I felt it was a good fit for my blog. There has been a lot of momentum building online as we enter the holidays and the end of the year. I feel some pressure to work harder and accomplish more, but overall I am focusing on a better work life balance. I have realized that it's not healthy to work 24/7! It took me a while to realize that this is work – I will never get everything done in one sitting! I will always have a to-do list, have emails, have projects to work on, etc., and these are all blessings! This means my business is thriving. November flew by real quick! It was a busy month for my work life and personal life. Continued to work on new workbooks for my courses, products and freebies to offer. Flew to Vegas to meet-up with Gina (my course partner) to re-film sections for Become a Pinterest VA TODAY! Launched a brand new surprise product called The Pinterest Post for Black Friday. I highlighted my 2015, 2016 and 2017 November online income reports to showcase my progress! Most annual subscriptions will save me more an average of two to three months of payment, which in some cases is a saving of over $300 per subscription. I only have to make one payment per year vs every month. As my income has grown, I feel comfortable paying for services and subscriptions up front. As a new blogger, I would not have been able to do this with all of my monthly expenses. Here are my expenses in November. No shock here – this was my most expensive month ever as a blogger! I purchased annual plans on as many monthly subscription services as possible. While this was a big chunk of money to put down, I am saving money in the long run. I also don't have to worry about these expenses for another twelve months, which gives me plenty of time to save and put money aside for the following year. 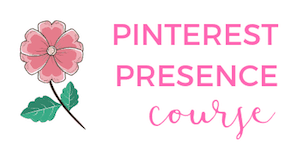 Gina (my course partner for Pinterest VA) and I also paid out affiliates and we have to pay fees from every purchase that we make, whether it's for our joint business or my own business. This is taken out automatically with PayPal or Stripe and it around 3% of every sale. Also, if an affiliate of mine receives credit from a sale, that has to be paid out as well. 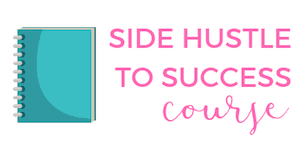 My new secret side hustle project that requires a lot of my time upfront! You can also check me out on the Chain of Wealth Podcast, where I talk about blogging and making money online. It was really fun to share my story about how I got started side hustling, which lead to creating my blog and where I am today. All in all, this was a fast moving month! I'm really scared to start a blog, do you think I should try it? Do I have to tell my friend or family about my blog? Do you think _______ is a good idea for a blog? I usually reply with a lot of optimism because I totally understand why they are nervous. I debated starting my blog for months! Looking back, I should have just started and stopped worrying so much about things. Blogging has changed my life for the better. If you find yourself asking these same questions, I want to share a few blog posts to help you start a blog! First, you can learn more here about the common fears of starting a blog. I shared why I was so scared to start my blog and I bet you have some of these similar fears. Learn how to stop being scared to start a blog and go for it! Second, once you are ready to start a blog, this blog post will help you figure out a domain name (there's tons of ideas listed!) 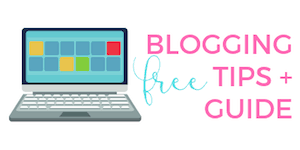 and a tutorial to walk you through how to set up your blog. Third, here is my first blog income report to inspire you! It's never easy to make your first dollar blogging and I was super excited when my blog made $60! Thanks for reading this online income report! I hope this income report and tips help you start a blog today!